Our kennel is breeding Nova Scotia Duck Tolling Retrievers in a small scale. 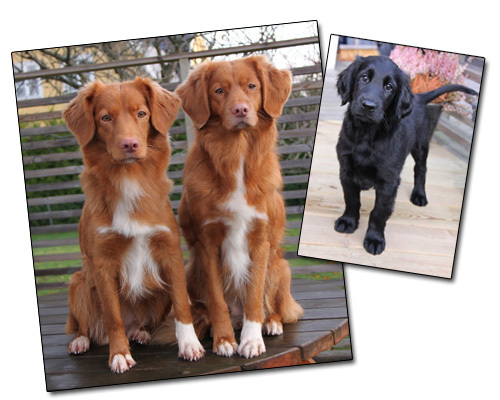 Our main objective is to breed a versatile toller with a healthy body and mind for active people. This site is about us and our dogs. We would appreciate if you sign our guest book before you leave!